Eagles and Kozły (Goats) got the same record 2-1 and desperately need wins. In the first game for both team at Poznań Kozły lost to Eagles 0:39, after this game Kozły won two game in a row, with Silesia Rebels 13:4 and another team from the capital Warsaw Spartans 47:8. Eagles won with Zaglebie Steelers 7:41 and lost game off the top with Seahawks Gdynia 7:20. 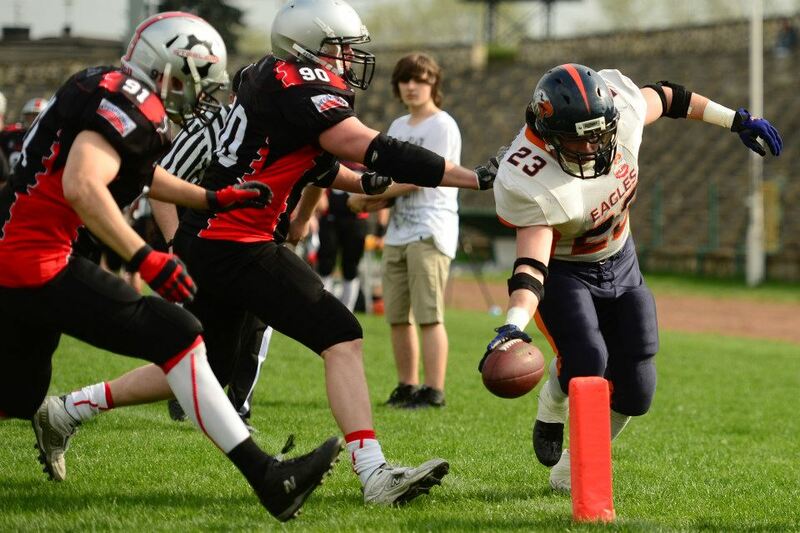 In the history of Eagles-Kozły games, Warsaw allways win (8 times). The game will be held at the stadium Polish soccer league team- Polonia at Konwiktorska street.